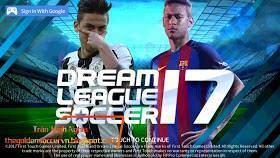 Download Dream League Soccer 17 Mod By Trần Minh Nghĩa - A game Dream League Soccer newest Android Mod for you. DLS 17 Mod By Trần Minh Nghĩa. By apk + data size reaches 273 Mb. Many new features available in this game. For those who want to try to play, instantly download the files now !! 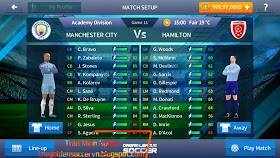 Dream League Soccer 17 updates 4.04 mod based on the original 17 dls and upgraded a few things in the data and apk. Background has dybala, neymar and logo dream league soccer 17 . New mod button by me silver version . New in game direction . And a whole new thing that is the headshot of the manchester city players. Extract the zip file with Z Archiever . Please remove the words "(data)" and "(obb)" before placing the content into each folder . Set the contents of the Data folder (com.firsttouchmages.dls3) to Internal> Android> Data> Here . Place the contents of the Obb folder (com.firsttouchmages.dls3) on Internal> Android> Obb> Here . Install DLS apk to complete and close . Open the game and play . Money is not limited to special, Lucky Patcher Please also install apk along with DLS. Need more coins, just click as you buy coins but it will be free .